Original RENT cast members Idina Menzel and Anthony Rapp reunite in a new original musical on Broadway? I'm in! 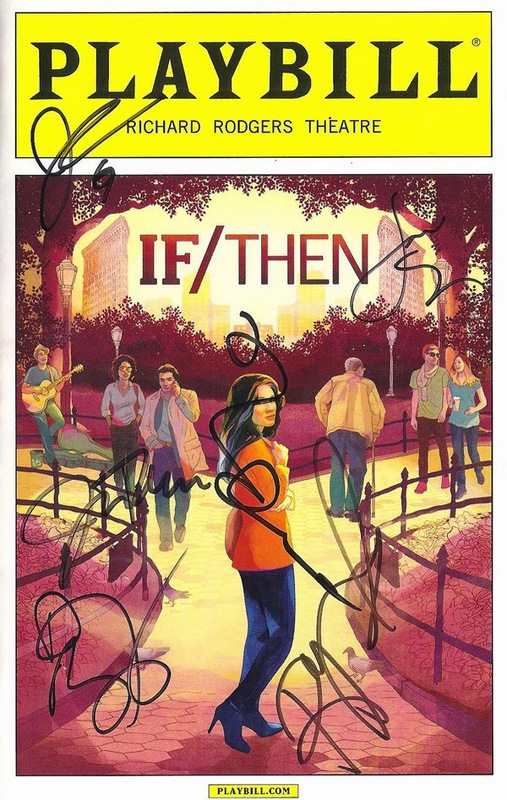 Written by Tom Kitt and Brian Yorkey, the creators of the brilliant musical Next to Normal, If/Then stars Idina as a woman who moves back to NYC after a divorce to start a new life with old friends and new. The Sliding Doors-esque plot follows her on two different paths, each resulting from a different choice made on her first day in the city. Two different realities unfold, both filled with love and heartbreak. It's a more traditional musical than Next to Normal and doesn't come close to the same brilliance (but what could, I don't envy them having to follow the success of their Pulitzer Prize winner), but it's entertaining with a well-constructed story, thought-provoking themes of chance and fate, and a score I want to listen to again. It's so refreshing to see a new original musical when so much of Broadway is revivals, jukebox musicals, and movie adaptations (I saw six musicals during my week in NYC and this was the only new original musical), and an absolute joy to see a woman at the top of her craft. Elizabeth is a city planner who has spent the last twelve years in Phoenix in an unhappy marriage. The two divergent paths find her teaching, marrying a soldier, and starting a family in one (where she's called Liz) and forging a successful career redesigning NYC, flirting with her married boss, and getting involved with her bisexual ex-boyfriend in the other (known as Beth). While the story elements are less than original (surprise pregnancy, husband going off to war), at least they're arranged in a clever and unique way. And it's an interesting thought - how different your life would be if you had made one small choice differently (as Moritz Stiefel says - all I had to do was say yes). In the end I'm not sure which reality wins out, but Elizabeth is a woman who is going to come out on top with a little help from her beautifully diverse group of friends. The story seamlessly flows back and forth between the two realities, sometimes within the same scene, with little confusion. A quick wardrobe change and her friends calling her by two different nicknames helps. The set is incredibly technical, with stairs and balconies moving in and around, creating many different spaces in NYC, which functions as another character in the story. I really enjoyed the modern pop/rock/musical theater score, mixing poignant ballads with funny up tempo numbers, and am looking forward to the cast recording being released this summer. 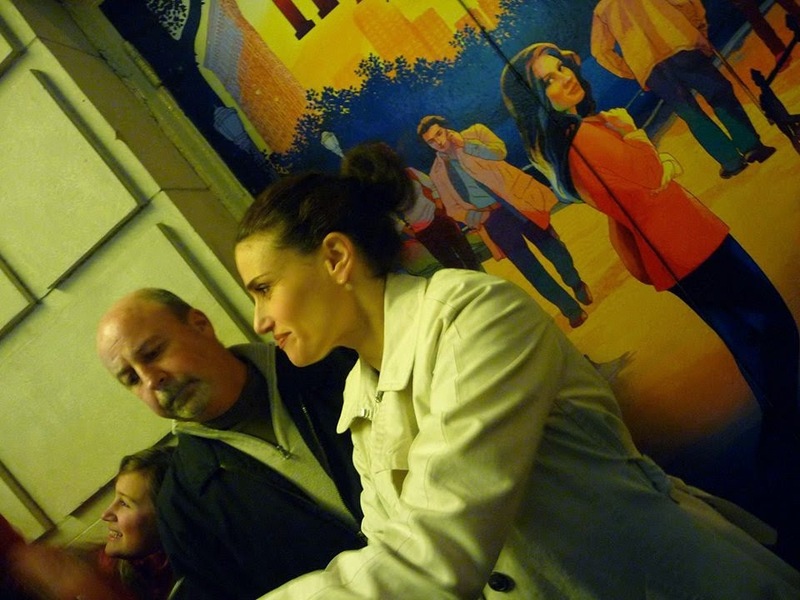 It's no accident Idina was part of two of the biggest musical theater phenomenon of the past twenty years - RENT and Wicked. She is a true one-of-a-kind talent and deserves to be famous for more than having her name grotesquely mispronounced. My theater buddy and I were sitting in the very last row of the theater (having snagged the last two tickets on our last available night) and I'm certain Idina's voice would have easily reached us without the aid of amplification. Her voice is a force of nature, and lucky for us, she chooses to use it "For Good." It's particularly lovely to see her reunited with her RENT co-star Anthony Rapp almost twenty years later, who is charming and funny as her best friend/ex-boyfriend, and gets a few great songs of his own. 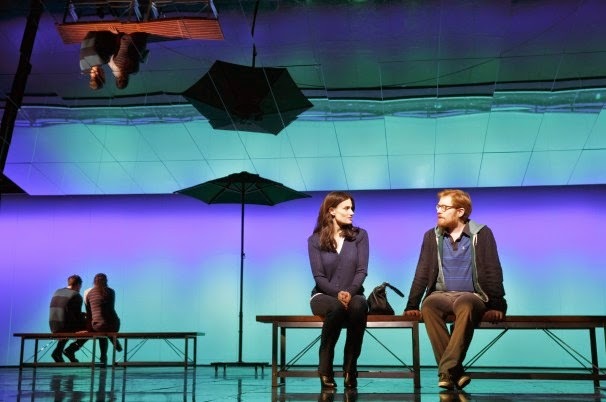 While I unfortunately can't say that If/Then is a fantastic new musical (it's a little too precious and movie-of-the-week), it is a good one, with compelling characters, a catchy score, and a fantastic cast led by Idina the Great. It's definitely worth checking out on your next trip to NYC.